The UAE Cabinet’s announcement for sweeping reforms is quite significant, especially given the debate that has been happening around the topic whether within the community or the Federal National Cabinet (FNC). This debate was mainly based on concerns over the demographic imbalance and how will such a move effect locals (who happen to be a minority out of a population of slightly over 9 million). The government first hinted of its direction to attracting top talent from around the world when the UAE Vision 2021 -also known as the National Agenda- was first announced in 2010. The idea was later announced by the Ministry of HR & Emiratisation a couple of years ago. What remained till yesterday was a legislation and a mechanism for implementation (which we have yet to see). Of course, the question now is; what short term and long term effects will this move have on the economy and the job market? While writing this article local newspapers across the country have been reporting that the UAE has been rated number one globally in 50 indices covering vital community and service sectors, this is according to the Global Competitiveness Index for the year 2017 – 2018. The country has recently been achieving top rankings in the Arab World in areas such as Ease of Doing Business, Competitiveness, Human Development and Innovation. However, the UAE has made it clear that it has its sights at not only competing regionally but globally across various areas, and especially in the space of Innovation. But let’s pause and think about this for a minute: “How can we expect to embrace Innovation and aim to compete globally in this space if we are too afraid to step out of our comfort zones, and we fear the unfamiliar. Innovation requires us to enable Creative, Courageous Character of Leadership.”. These were part of my views during a panel discussion in front of a group of local university students and graduates on the topic of predicting how the future would look like in the next 50-100 yrs during the National Science & Innovation Festival in Dubai. I found that these are the skills we need to nurture in our talent so that we enable them to be able to deal with the complex challenges the world is confronted with today, and lead the economy to become more sustainable, competitive and innovative. Can you guess what happened when the Saudi General Directorate of Passports posted 140 new vacancies for women in Saudi Arabia? The article below further proves that enabling women to pursue their careers and enter the workforce will allow for an eager, hungrier and possibly more ambitious type of talent in the Saudi job market. However it also poses another question that was brought up by Ahmed AbdulQader, a Blue Ocean Strategist who commented on my post on LinkedIn; he cited that the fact that so many jobseekers apply for vacancies poses a challenge to employers who will have to be able to identify the right candidate, as well as jobseekers who want to stand out when applying for jobs. -The decision to nationalize occupations especially in ‘Sales’ seem to target the SME sector mainly. The Ministry is already under fire by Saudi SME owners who took to social media to complain that the ministry’s decisions in the past year harm SMEs. -The Saudi govt’s recent push to enable women in various walks of life means that many of these occupations will be accessible to Saudi women who have the hunger and eagerness to get in to the workforce (I’ll share a story soon that demonstrates that. Watch this space). -An argument could be made that the Saudi govt. (as well as the UAE govt’s) labor decisions and restrictions might be aimed at enhancing the quality of expatriate workforce these countries attract by allowing more qualified and skilled expats for occupations that require specialized skills and experience, thus moving to the planned direction of transitioning to a ‘Knowledge Economy’. I recently attended a public forum in Dubai that discussed the topic of ‘Future of Work, Automation, Robots and Artificial Intelligence’ to a packed room of people from different backgrounds. What I found quite interesting was the fact that the majority of the crowd was recent graduates and college students. Matter of fact, this group posed most of the questions to the panelists. More than intrigue or hunger for knowledge on the topic; It dawned on me that the questions were really motivated by genuine concern and fear. Fear of what the future holds. Listening to their questions, I found myself empathizing with them. Think about it, it has barely been 10 years since the world was swept by the so called global financial crisis. Entire industries were decimated and global creation of jobs was cut down by half according to the International Labor Organisation (ILO). On the back of the global financial crisis two themes seemed to have emerged and influenced the global job market since then; an increased focus on entrepreneurship and the growing ‘war for talent’ as it was referred to. Youth, whether still students in school, college or in the job market trying to find a suitable career were now bombarded with messages encouraging them to go back to college and develop an extra set of skills in order to be perceived as “multi-talented”. Many were told that an MBA alone wouldn’t be able to cut it. And if you did not jump on the hyped up ‘entrepreneurship’ bandwagon you were doomed to unemployment or simply being ‘not cool enough’. In the face of all these messages; Executive MBAs and Mini-MBAs became more popular, a growing number of companies invested in In-house academies, entrepreneurship accelerators and incubators have become very common across the region especially in cities such as Dubai. Now that we are finally here and just when we thought that we have figured out how we can fit in this big monstrous machine called ‘the global economy’, we are told that we now have to compete with, with……”machines”! Machines that are 10 times more efficient and accurate than human beings, and cost employers much less in the long run (no sick leaves, no end of service, no pension to be paid and no expensive farewell parties). Everyone is either talking or writing about Machines replacing people, and worse, everyone seems to be painting it as something cool! Confusing, isn’t it? To be fair, not all is gloom and doom as I just painted it to be. There are ways –I hope- we mortal human beings can be seen as competitive and attractive to employers as machines are. For instance, there is a great deal of literature as well as programs that focus on developing what are known as ‘soft skills’ or ‘smart skills’ within the workforce as a way to remain to remain relevant and add value. However this is not the topic of this article. What I find most interesting is a question that is becoming all too familiar now not only among the current and future workforce amidst this ever-evolving of what should a career look like, and what is the future of work. That crucial question I’m referring to is “What is or should my purpose be now”? The question is a dangerous one with life-changing consequences; these consequences can be positive as well as negative. Examples of the negative implications can vary from low-morale, lack of productivity, depression all the way to extremes such as crime and terrorism. That’s why I believe families, schools, policy-makers and even the corporate world should not take this issue lightly, and should in their own way contribute to address what I believe is a ‘Time-Bomb’. So, how do you know that you are actually living your purpose? Simple, when you are doing what you love to do, doing what you are good at, and accomplishing what’s important to you and the people around you. If you are a student about to enter the job market, a jobseeker, or even an existing employee and you haven’t figured out what your purpose is, or cannot articulate it, now seems to be a pretty good time to do so considering the pace the world is changing. 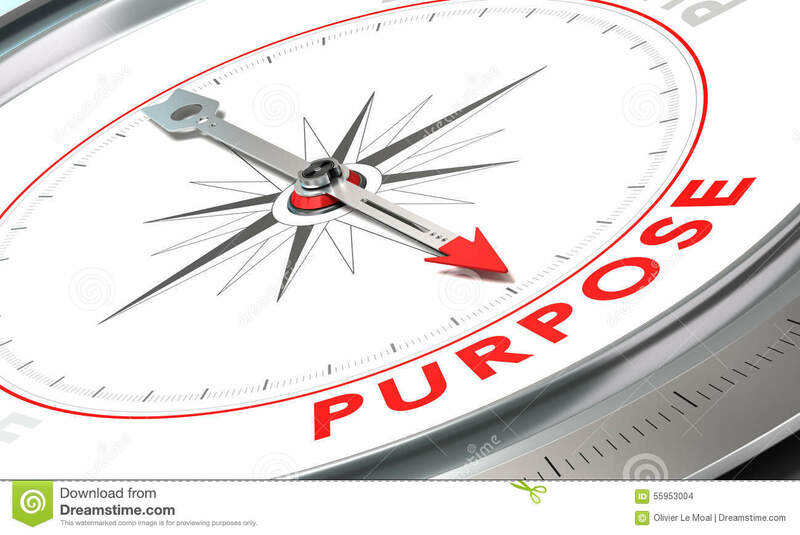 In my next post, I’ll share with you a neat and simple way I learned to identify your purpose and articulate it. The Omani government has announced it will create 25,000 jobs in the Public Sector by year end. This also comes at the back of widespread demands by Omanis. – Oman has one of the most qualified and work-ready workforce in the Gulf. – As much as this announcement will provide relief to the unemployed, the fact that the public sector will provide these jobs means the govt. Will have to take on the economic burden at a time where the public sector is looking to reduce spending. – Enabling the private sector to play a bigger role through effective and innovative strategies is key. Public and Private partnerships could be way forward.